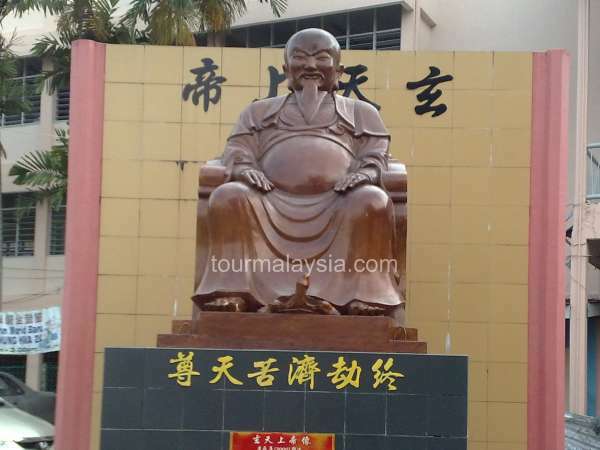 According to unwritten history, the deity statue (玄天上帝) was brought in from Riau Archipelago by Tan Song Hai (陈松海) and worshiped in a shop house at Jalan Maharani initially. 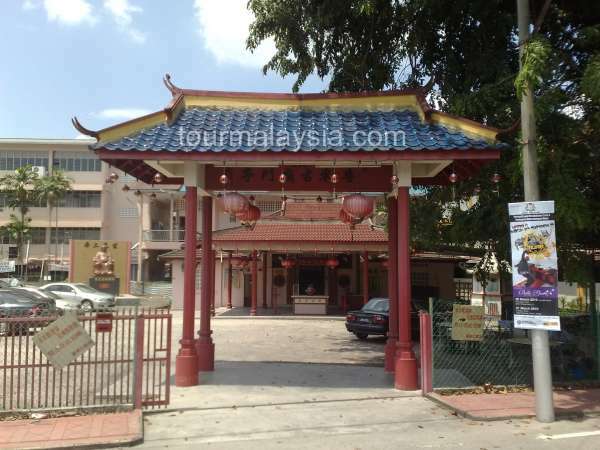 The temple was also known as Tua Nang Yah Keng (大老爷宫) by local Teochew devotees. The shop house was burnt down by a fire and then it was relocated to present premises in 1913. The ancient temple was renovated several times and a major one is an arch door was erected in 1998. During the Chap Goh Mei in 15th of first lunar month, the temple has attracted droves of devotees especially from Teochew clan. The toss of winning “sugar lion” or “peanut lion” (the lion statue is made of sugar and peanut) under the blessing of deity, a teochew custom is held in conjunction with the festival. The deity in the temple is the same deity in Wudang Mountains in China and Johor Ancient Temple in Johor Bahru. The statue in the courtyard is resembled the bronze statue in Wudang Mountains.